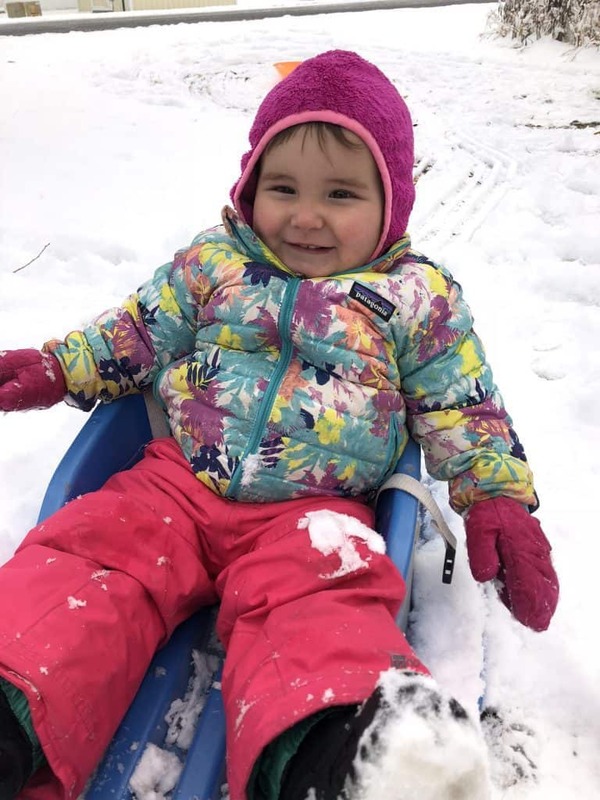 Outdoor Adventures, Motherhood and More! 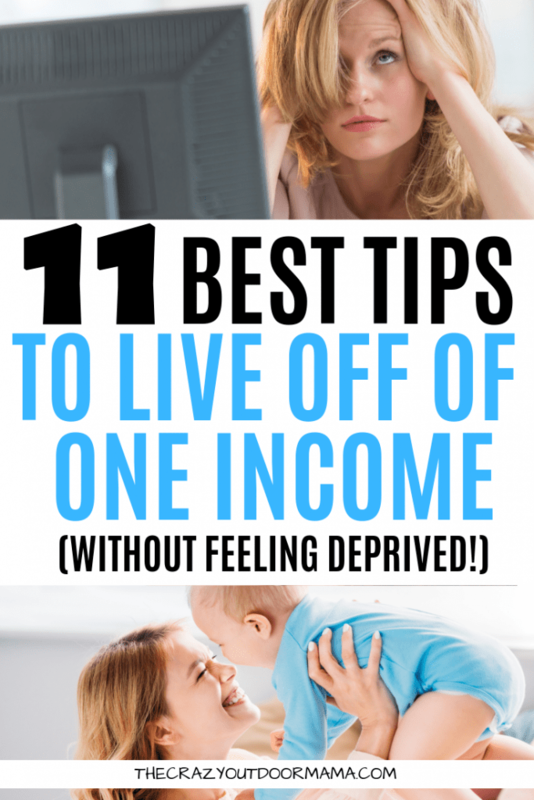 The transition to living on one income can be rough… but think about all these things ahead of time, and you might be able to do it! Hey mama! Check out this articles too if you liked this one! While it won’t work for everyone, for a lot of people, it’s certainly possible by budgeting and sacrificing some things! Well, my son came and from the moment he was born I knew that I wanted to stay home. How could I leave him with some person I don’t know? What if he liked the daycare lady more than me? What if I missed out on some important milestone? Unfortunately, I had already made the commitment and had told my work that I would come back after my maternity leave… and so I did. My son cried every single day, for most of the day, the entire time he was in daycare. He was barely eating, and I had to try to slip out of work to drive over and nurse him. Now working mamas, hear me out! YOU GUYS ARE AWESOME! Not every baby will act this way, and not every mama will be ok with being in the house all the time like SAHM! I have different outlets other than work to get out, but I know some amazing moms that work as well… and some moms who have no choice due to financial situations and must work. I just wanted to preface this article by saying I know not every mama can, or wants to stay home and live off of one income. After much talk with my husband, we decided to live our cushy-ish life and drop to one income. But let’s be honest, after daycare costs, the crazy rearranging of schedules should he become sick, and everything else, I was only losing a minimal amount of money! We talked about quite a few things and made some cuts into our budget. If you’re thinking of making the plunge to living off of one income, here are some tips and things to do before hand! You would be surprised at how different your financial situation is once you actually comb through all your credit and debit cards. For us, we saw all of our frivolous money spent and figured if we could get that under control, we’d have way more extra! It’s important to look over the span of around 3 months to get averages of what you spend so that you can work on setting new goals for each section. For us, we had five columns. And to live on one income, you have to be pretty aware of where each dollar is being spent! So it’s nice to write it all out so you can see! Loans – The only way to lower the loans portion was to refinance things, which wasn’t an option for us at the time. Bills – The bills all looked in order, so there was nothing to change there. Just be sure to look for any discrepancies, such as auto pays being taken out twice (on different cards) or things like that. Food – Food was a big one for us. We try to eat organic as often as possible, but that was killing us every month money wise. We decided to look at the “dirty dozen” list and only buy organic versions of the thigns that were supposedly really bad. We also kept buying organic items that were less than two dollar price difference compared to their non organic counterpart. Another food cost we cut was “fancy nights”. We loved buying cheese, bread, meat and wine once a week, and that was around 60 dollars! Instead, we could just do a monthly thing. Don’t forget to look at how often you buy yourself “treats”. I almost always bought myself some sushi when I went to the grocery store, and that aws 10 bucks a pop. I went to the store ATLEAST 6 times a month, so 60 dollars is a lot! Entertainment – This includes video games, monthly things like Netflix, magazines, books, going out to the bars or whatever. We averaged out how much we spent over 3 months on these things, and agreed to make a goal to spend 100 less. We felt it was important to not completely deprive ourselves from the get go, since raising tiny people is hard and we all need that mental break away. Having a goal, and keeping track of where you’re at, can make you feel like you can still have fun, but also be doing something useful for your budget! Miscellaneous – Another hard one. It seemed like every month, something came up that we had to have. Something for our hobbies, kid clothes, something would break… we can’t control all of those expenses. but one thing I found useful was “giving it a week” before purchasing something. That means if I saw something I felt I needed, I would wait and see if I still remembered it. Sometimes I would see something I thought I needed for one of my various hobbies, only to find out 4 days later there was a much cheaper alternative, or that it just wasn’t necessary. 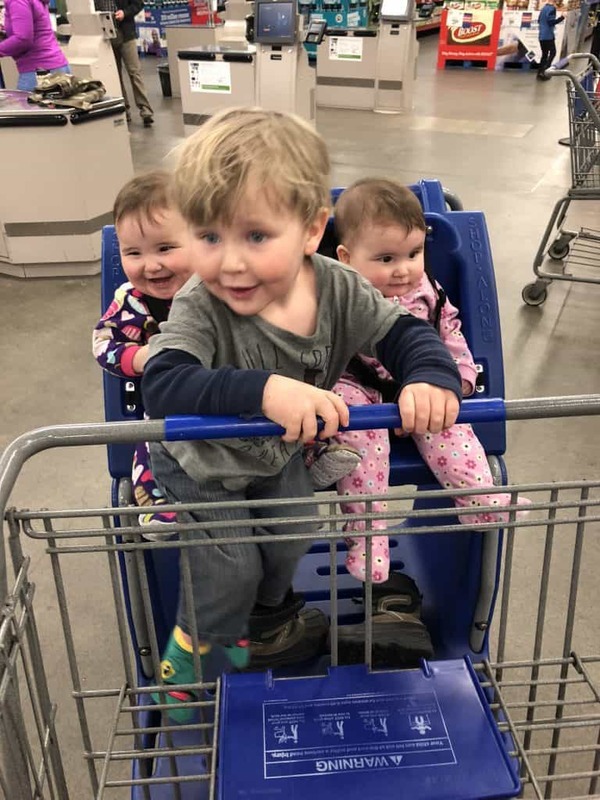 We tried to narrow down these expenses to MUSTS such as broken household items we needed to function (cars, dish washer, laundry machine etc) and stuff the kids needed. This is something that can save a bit of money if you’re like me, and sign up for those 30 day free things, then forget to cancel! We found two subscriptions we didn’t really need (Hulu and some add on Music Prime service) and got rid of those. We already had Netflix, and we mostly use Pandora so we didn’t need a second paid music service. Then we looked at how much use some of the things we like got… my husband has an Audible subscription, but he drives a ton and that’s how he manages to stay awake so we kept that. I had a subscription to some knitting club where I got new patterns each month, but since I didn’t have time to knit, and there’s a ton of free designs online… dumped it. I also had a cool photo editing thing I used ONCE when I thought I was going to be super into drawing stuff and coloring it on a computer… so I got rid of that. There were one or two magazines we never read anymore, so got rid of those too. Just try to comb through the past 3 months of bills and make sure you only have what you really really want! How often do you use this? Is the reward (your use) worth the cost? Is there a lesser version of the subscription? For example, if you only use it x amount of times, is there a way to pay less for less use? This is a biggie! Not gonna lie, before I quit we were able to, for the most part, buy what we wanted when we wanted. Nothing extravagant, but if we needed a new pair of nice snow pants or something, we just bought it at the sports store. Again, I wasn’t bringing home THAT much… but it was enough to feel like we could spend a little more on things. Now we make sure to check Facebook marketplace, thrift stores, and used sports stores before we buy things like gear and clothes. It’s amazing how much stuff you’ll find barely used! And to be honest, it feels freaking awesome to buy something and know that it cost more than triple new… and the one in your hand LOOKS NEW! Even if it doesn’t look new, let’s be honest. Kids wear things for like 6 months to a year… and they likely will tear it up in the process! Would you believe that we bought every single item in this pic used? All of it is Patagonia, and all of it was bought for around 1/3 of the price it retails for! A very important conversation to have before going to one income. I know, for a while, I wrongly felt that since I didn’t bring home in money, I shouldn’t really be spending anything ever on myself. But HELLO – daycare, housekeepers, and cooks all cost money! And I do those things! I’m not saying to spend a ton, but talk with your partner to see how much you guys can spend without having to discuss it with each other. It might be 5 dollars once a week for a nice coffee and muffin. It might be 10 dollars for some book you’ve been wanting. I never really asked my husband how much he was spending when he would go out and things, but just knew that he worked so he deserved to relax too. Again… HELLO I WORK (kids are very hard work!)! We finally had the conversation because I had been really wanting a 9 dollar item, but hated spending money on myself. It actually made me resentful, and hubby sensed it. He didn’t mind at all and was wondering why in the world I hadn’t got it yet! I was making this big deal in my head over if I should spend money or not, and not wanting to bring it up because I felt bad. So have the conversation… find out at what amount you should agree to ask each other about. For us, anything under 10 dollars (not all the time, obviously) was OK.
Confession: I am REALLY bad about cranking up the heat on cold winter mornings to like… 74 and sitting on the heater until I warm up! Obviously, that’s not a good way to conserve money on your heating bill! Look at your heat and AC bill, and find out where you can cut. I know it’s not an option for many, but we have wood stove in our home. It’s ALOT OF WORK. However, our heating bill is virtually nothing! Come summer, its tempting to put the AC on full blast. And it’s sometimes needed depending on where you live! In summer, open the windows in the morning to let in the cool air (even if it becomes pretty cold in the house!) and shut them once the heat of the day sets in. This might allow you to not use your AC most days! Use foam boards in windows during winter to retain heat and keep cold out. 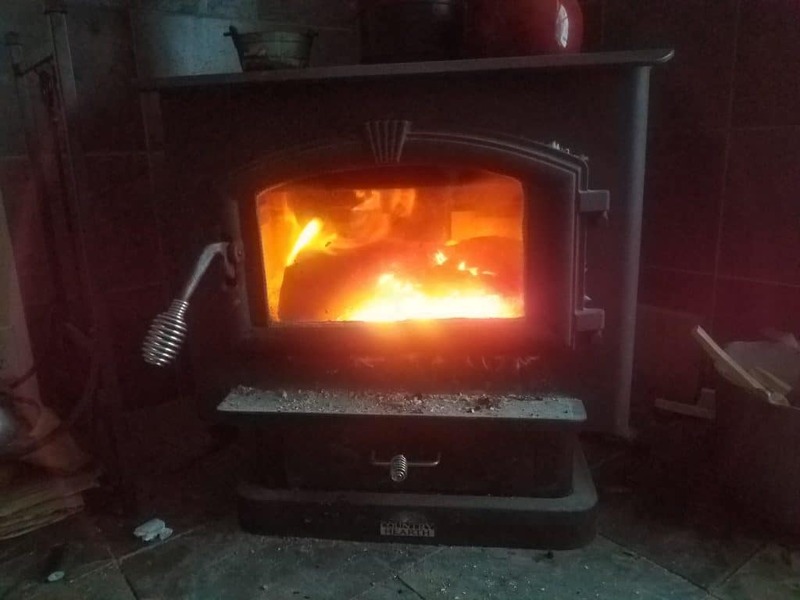 So I know a wood stove isn’t an option for everyone… and it is alot of work.. but DANG it feels so warm and cozy in the mornings! Yes, the Sams Club or Costco card is very worth it. I’d say 90% of stuff is MUCH cheaper than buying smaller amounts of it at other stores! The bill might make you faint once you get everything you need, but keep in mind that’s like a month or two worth of supplies! To be honest, there’s alot more. That’s just the normal stuff I can think of off the top of my head! And they DO have a surprisingly large amount of organic things! All food items mentioned above (besides olive oil) I was able to buy organic at a cheaper price than the non organic cost at the store! Sams Club is great for finding deals on bulk items! And for tons of free samples to keep the kids occupied! For us, entertainment meant going out. We live by some pretty awesome breweries and activities, so this was a hard one! We lowered this by thinking of reward vs cost. Me going out once a week to a coffee shop for a 1 dollar coffee and pastry? Yes, I need some time away if I can get it! Anyways, that will all have monetary values that are different for everyone. And really, I think each partner should have their own limit, as well as a combined family limit. You will become jealous or resentful if you sit back for months watching your partner go out with their friends eating up the “entertainment money”, while you’re stuck at home! I’m thankful hubby and I figured this out so that we are both happy! Unless your partner makes a ton, you’ll likely not be able to just go out to eat or grab something when it gets too late or you’re too tired to cook! Meal prep doesn’t have to be something fancy if you don’t want it to be. Want to know our meal this week? Chili. Chili for about 5 days, and we have sandwich stuff for lunches. We tend to just cook large amounts of one thing, but I know plenty of people have entire websites dedicated to awesome meal plans with tons of variety. Unfortunately, I am not the best at cooking and don’t like to make a giant mess. And the way our family dynamic has ALWAYS been (even before I quit) was that my husband cooked. And he grew up eating giant crock pot meals! For us it’s really easy and time saving to throw everything into a pot and just warm it up as time goes on. We were spending a ton of money buying stuff from the hot bar, pizzas, or going out to eat for something fun to do. A fun bonus of meal prep is you’ll likely eat healthier! Or perhaps they want you to involve your child in more activities, or go outside more, or have dinner ready. Whatever it is, talk about it before hand! Most things you can likely be OK with if you are mentally prepared for said responsibilities to be your new norm! 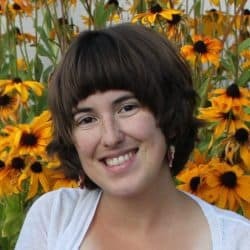 I know my husband and I grew up in different family situations, and so his expectations and norm were different than mine. We have found a half way point, and that’s key! This is more of peace of mind. For a lot of mamas I know, the difference is VERY small. I was making seventen dollars an hour, which is not much to some, but alot to others. We live in a resort town, so with that comes everything at a much higher price. With all these things in mind, I figured the small money loss was worth being able to stay home. Had I been working, I would have never been able to drive to our neighboring town, have my parents watch my girls, and get to meet Shrek (one of my son’s favorites!) 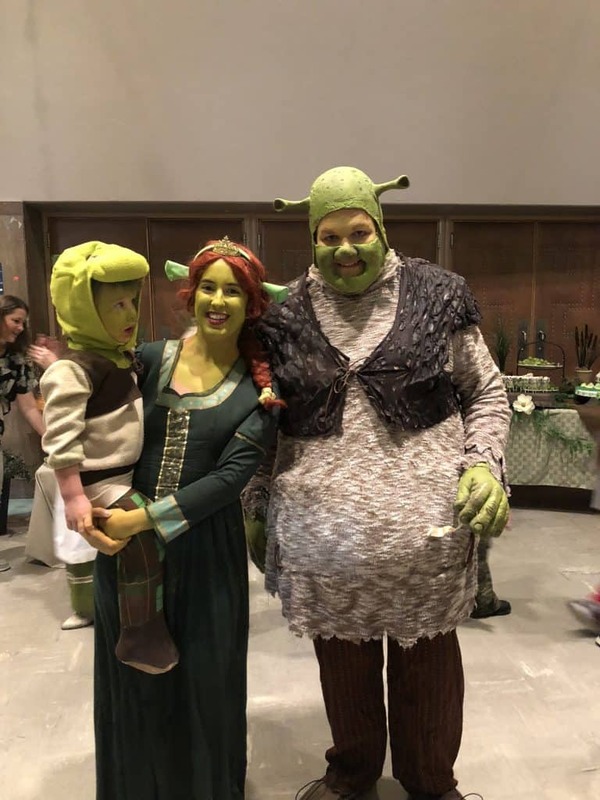 while dressed as Fiona! There would have been no way to get off of work in time then drive the two hours to give my son this amazing experience! I think that’s what it is called now a days! Anyways, if you have the time, fully embrace a hobby you love and see if you can make money from it! I’m honestly not a fan of things like the whole Doterra, young living, make up whatever programs that you have to bug your friends about. However, I’ve seen many a mama do alright on places like Etsy, from blogging, or reselling things on Ebay! 5 tips to beat mom burnout and be a happy SAHM! How to find mom friends that aren’t awkward and forced with these 6 tips! If you’re a working mama, learn the best tips and pump for on the go pumping! 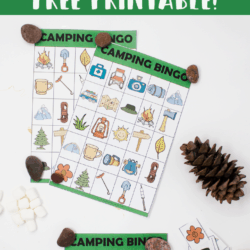 Free Printable Camping Bingo Cards – A Fun Camping Party or Outdoor Activity for the Whole Family! 11 Most Helpful Outdoor RV Products That You Don’t Need… But Will Make Your Camp Trip WAY Nicer! 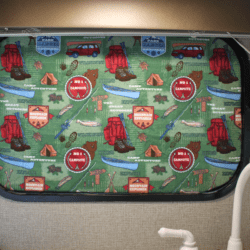 13+ RV Luxury Items You Don’t Need… BUT WILL LOVE!